Our Mission: To provide exceptional service and support to our clients and their customers. Publishers Management Corp. excels in delivering full service solutions. We offer a one-of-a-kind Complete Solutions Package to meet your ever demanding business needs. But don’t worry, if the Complete Solutions Package isn’t for you, then we can customize a tailored solution allowing you to mix and match from our: Customer Service Center, eCommerce Solutions, Fulfillment Services, Marketing and Financial Services. Our spirit of professionalism and flexibility has made PMC a leader in the industry providing reliable service. 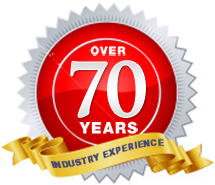 With over 70 year's cumulative experience, family owned and operated, we are driven by loyalty and integrity that methodically does the job right each and every day. We truly appreciate your interest in our company. Please contact us to Get a FREE Quote!